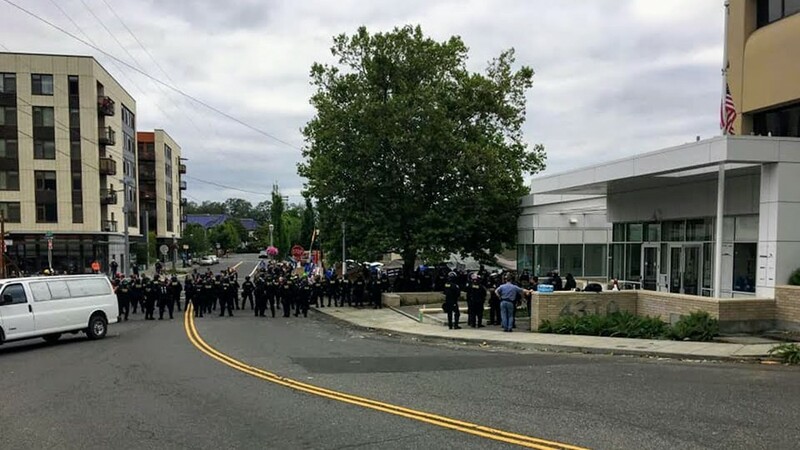 A U.S. Immigration and Customs Enforcement holding facility in Southwest Portland reopened Monday, as a protest continues outside. 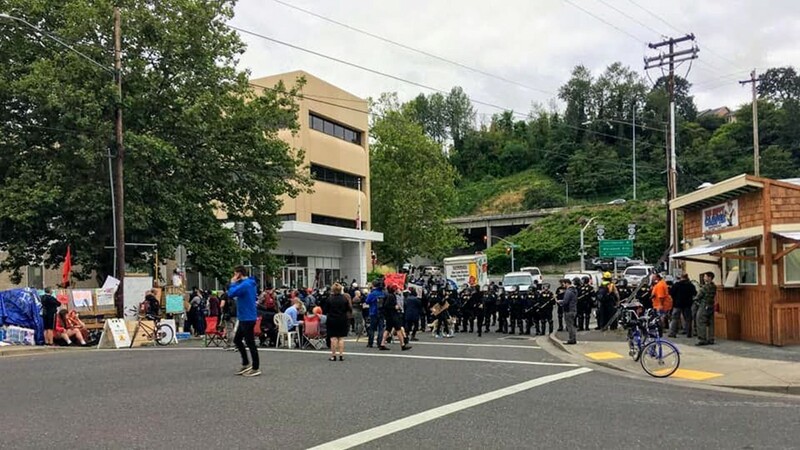 PORTLAND, Ore. — A U.S. Immigration and Customs Enforcement holding facility in Southwest Portland resumed normal operations on Tuesday, two weeks after a protest first took hold near the federal building. The ICE facility reopened on a modified schedule Monday. 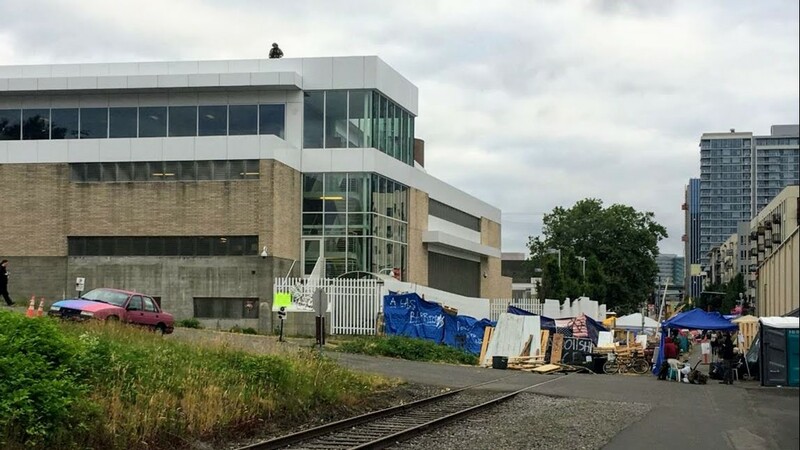 The facility had been closed since Wednesday, June 20 after Occupy ICE PDX set up camp with the goal of shutting down the immigration enforcement agency. 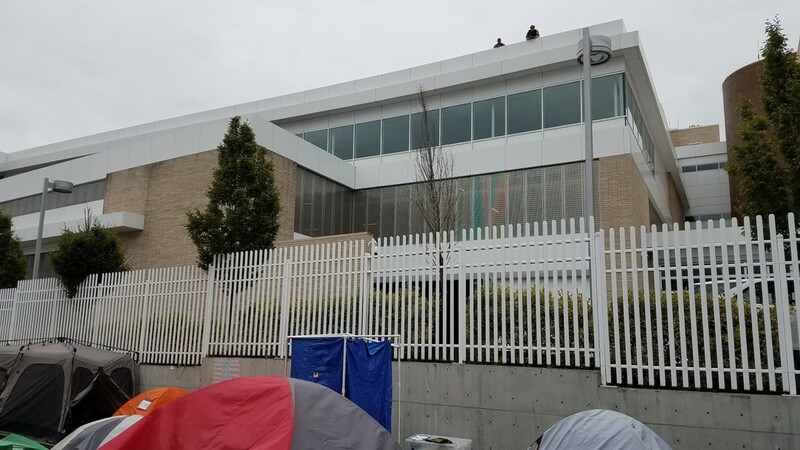 On Monday afternoon, federal agents watched as workers put up fencing around the ICE holding facility, separating protesters from the building that holds immigration detainees before they are moved to larger detention centers. 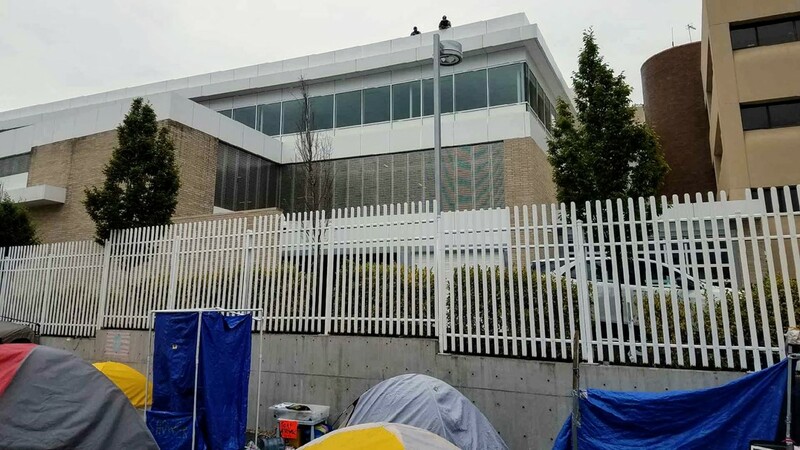 Thick pallets of steel fencing were trucked in Monday and workers erected tall, black panels of fencing around the federal building, near the protest camp. 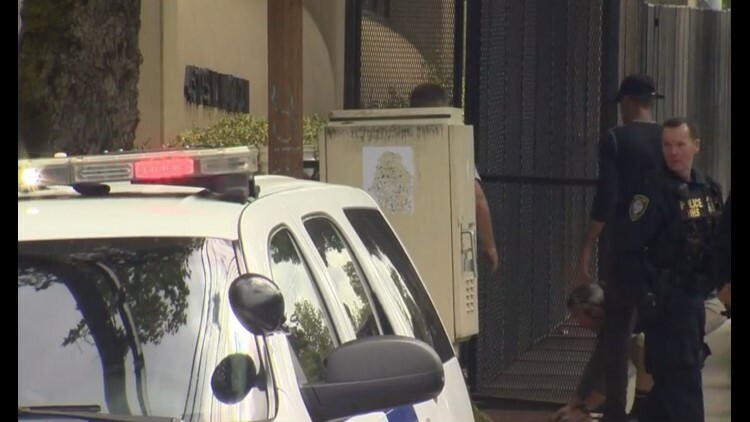 "This is a security enhancement measure to further secure the facility and assist in the access control of the building," said Robert Sperling, spokesman for Federal Protective Service. Sperling said lanes were temporarily closed on Bancroft Street and Macadam Avenue during the construction. He said a permit wasn't needed because the building is on federal property. The ICE office will close again on Wednesday for the 4th of July holiday and normal operations will continue on Thursday. 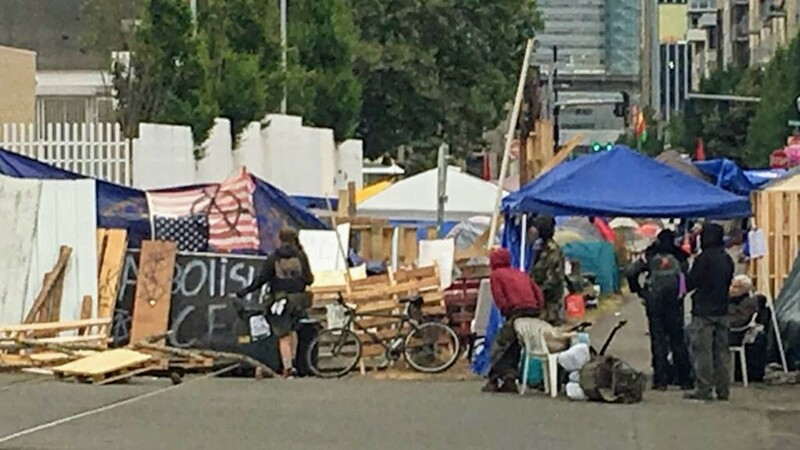 Several protesters at Occupy ICE PDX remain at the camp that started a national movement. 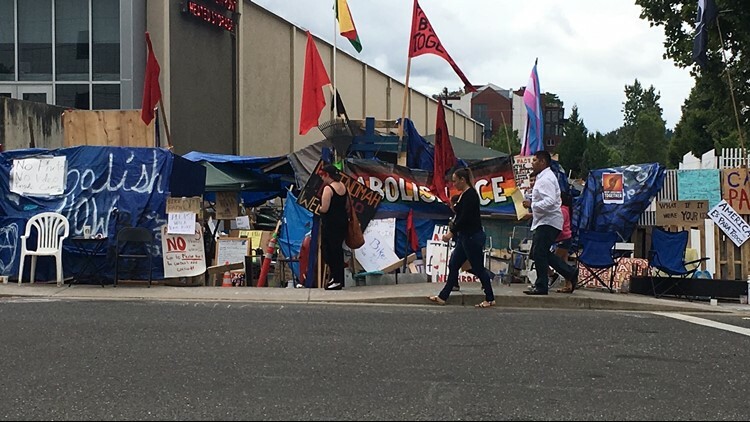 Since Occupy ICE PDX began, more than a dozen similar protest groups around the country have demonstrated against ICE and the immigration policy set forth by President Donald Trump. 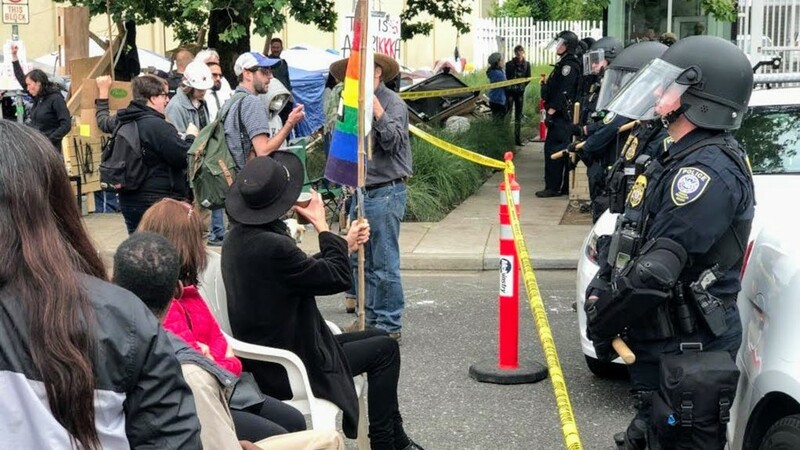 Seven protesters were charged with failing to comply with directions given by law enforcement officers, and blocking the building's entrances. 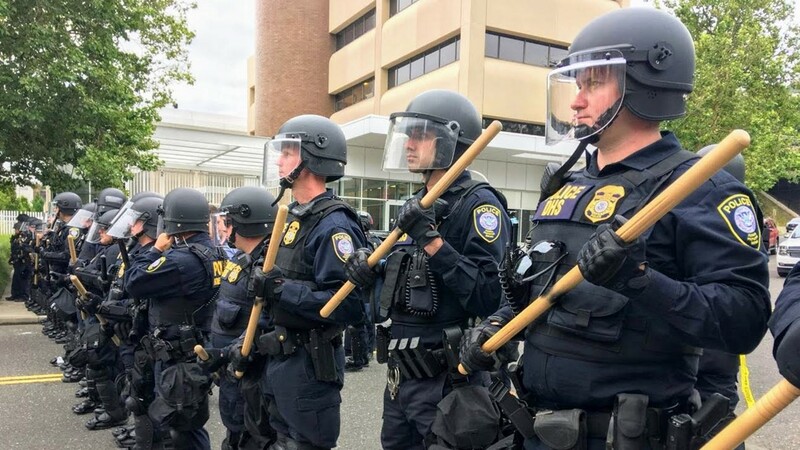 The charges are Class C misdemeanors and the protesters were released, according to the U.S. Attorney's Office in Oregon. 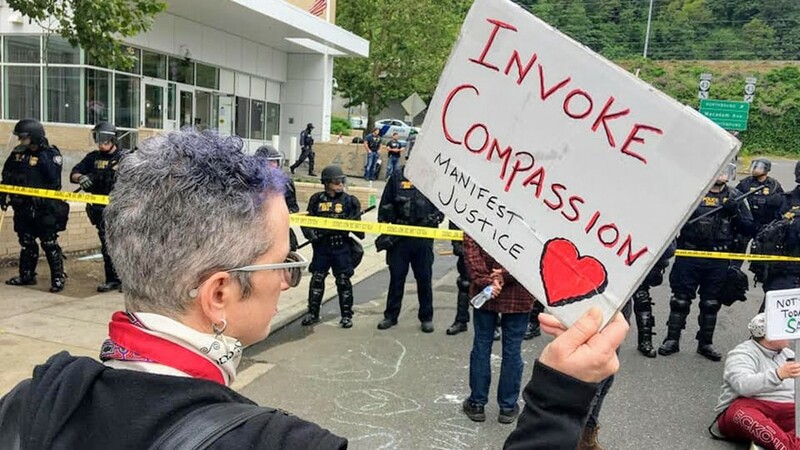 An eighth protester was detained on a state charge of interfering with a peace officer and remains at the Multnomah County Detention Center. 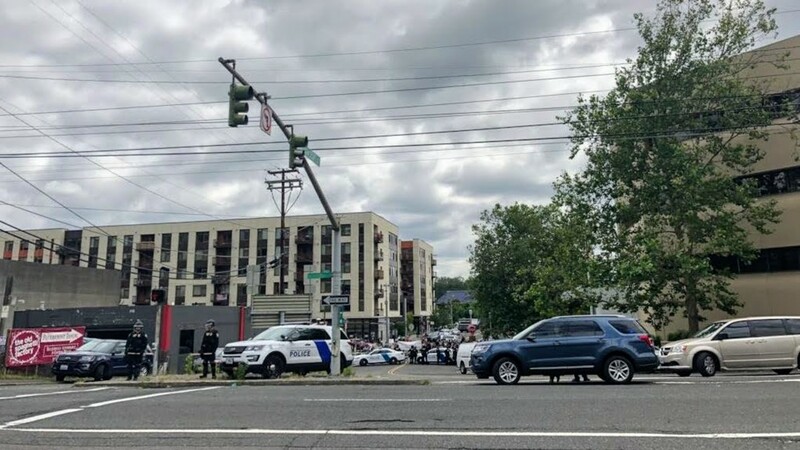 A ninth person was detained after he drove his black SUV near a police line and federal agents saw what appeared to be two rifles in the backseat. 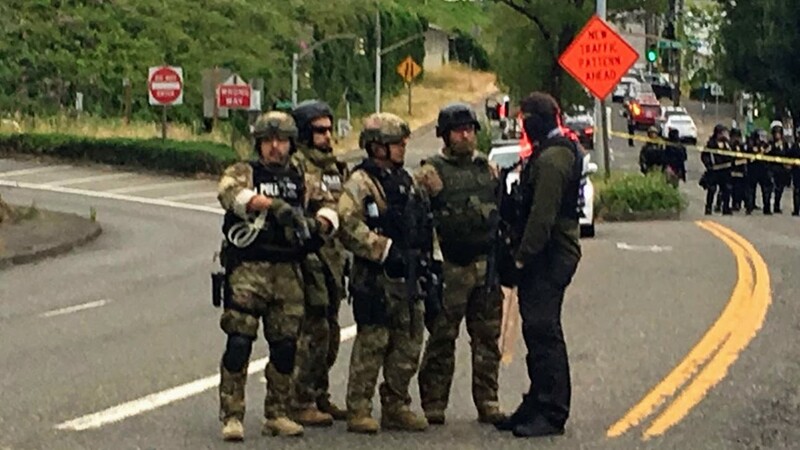 "Three airsoft guns were found in the vehicle. The individual was later released without being charged," the U.S. Attorney's Office said. 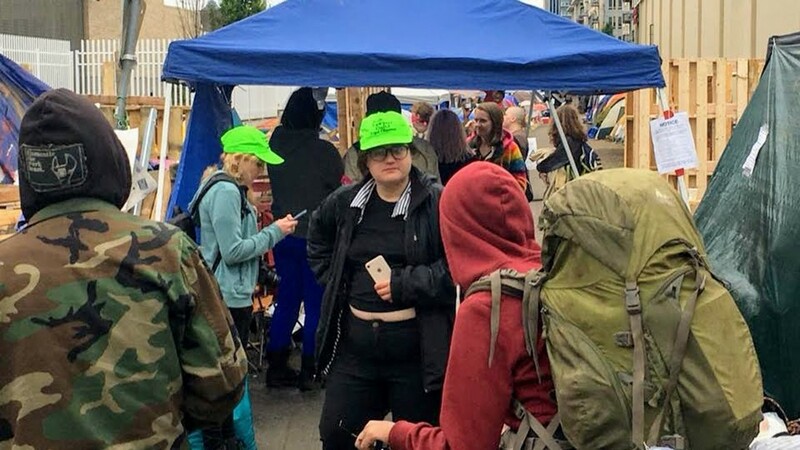 Activists said they are represented by the National Lawyers Guild. Sperling described the sweep of the entrance as peaceful. 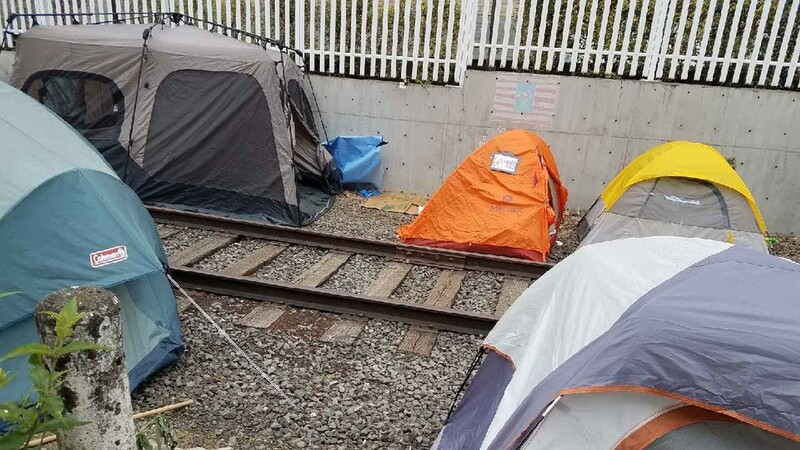 Police took no action against those who set up a camp alongside the building. 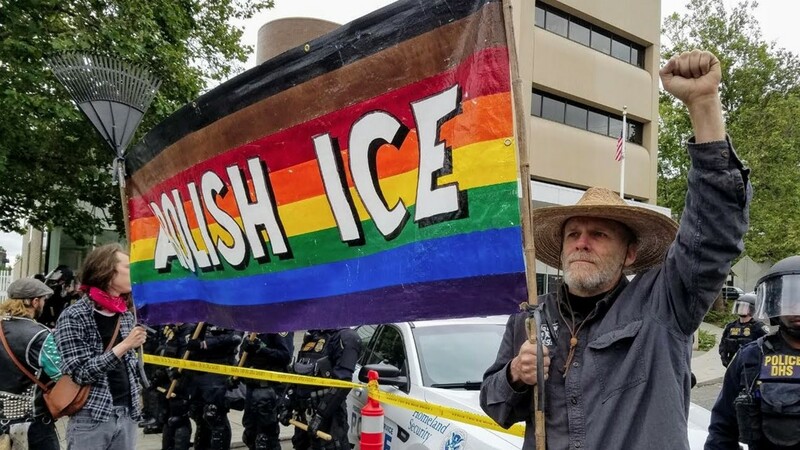 Sperling said those outside ICE property would not be removed, and police would not interact with them. 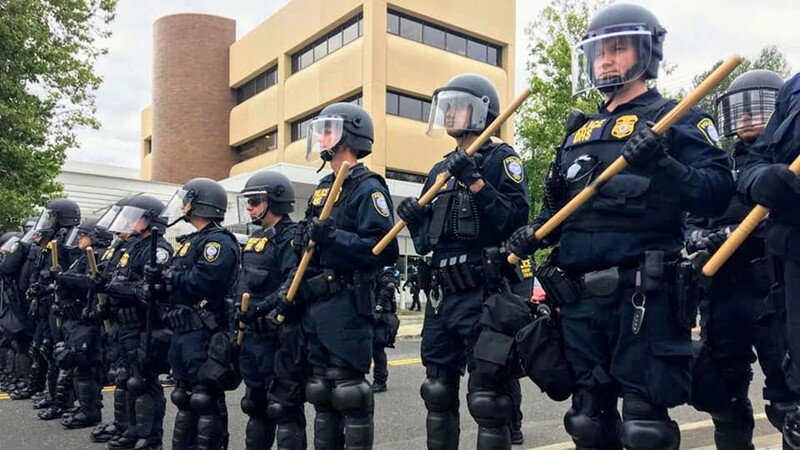 "We don't want to impede their freedom of speech," he said. 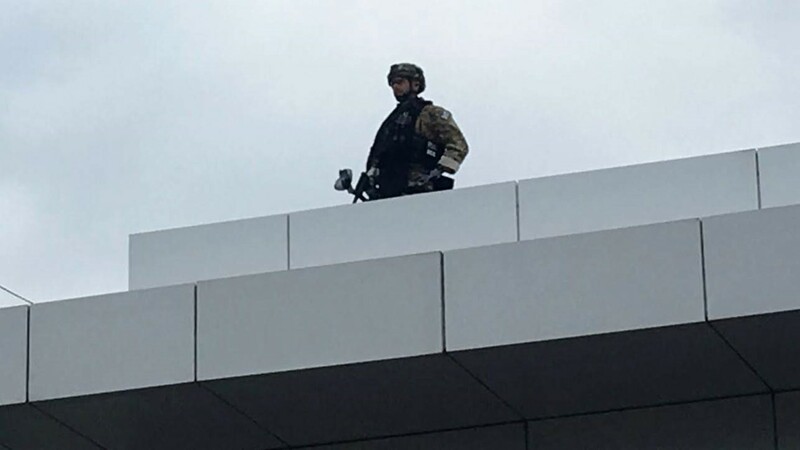 He said to expect a federal police presence around the ICE building "for the foreseeable future." 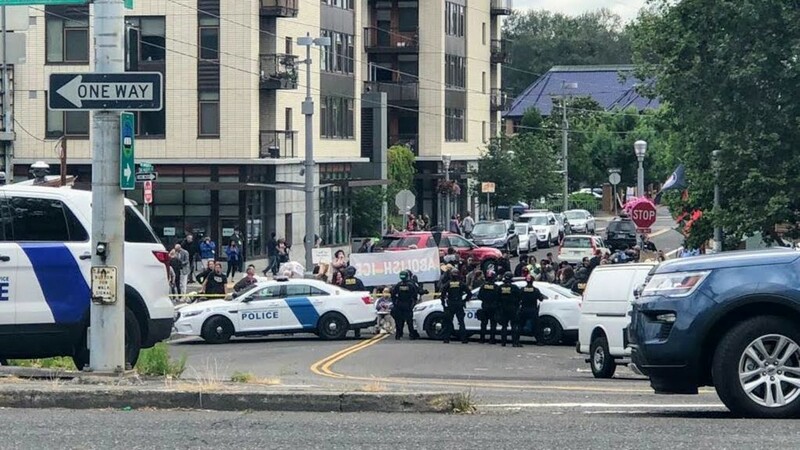 Social media posts on Thursday morning showed Portland police vehicles blocking traffic near the protest. 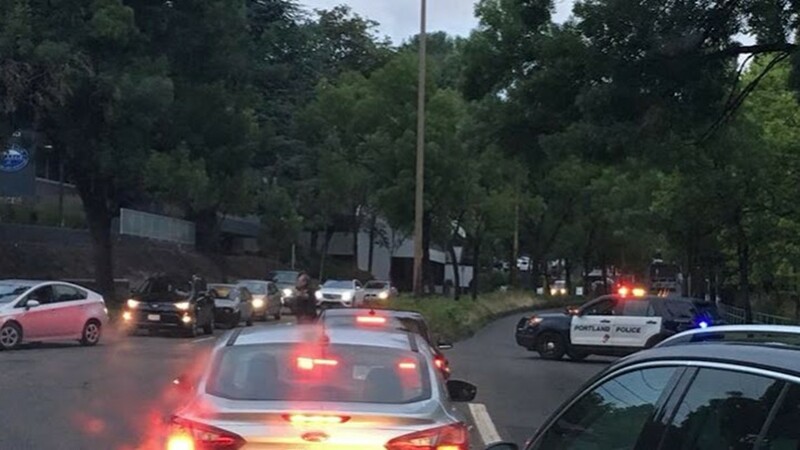 The Portland Police Bureau said that action was in order to identify alternative routes for drivers. 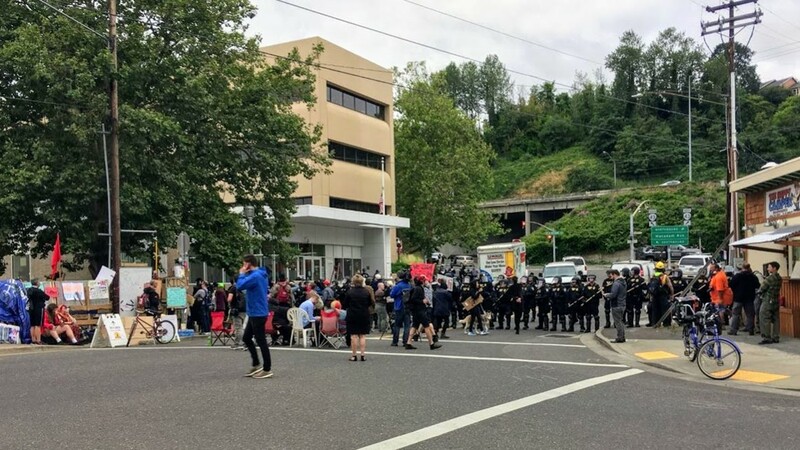 "In line with the Mayor and Police Commissioner’s directions, the Police Bureau was not involved in the Federal Protective Services (FPS) actions as it related to Occupy ICE PDX," said PPB Sgt. Chris Burley. 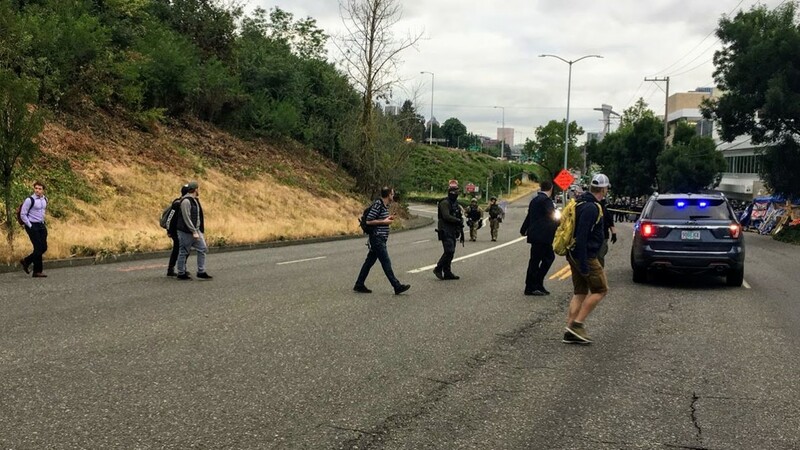 "Portland Police Bureau officers recognized the need to assist motorists in identifying alternative routes around road closures due to actions related to Occupy ICE PDX." 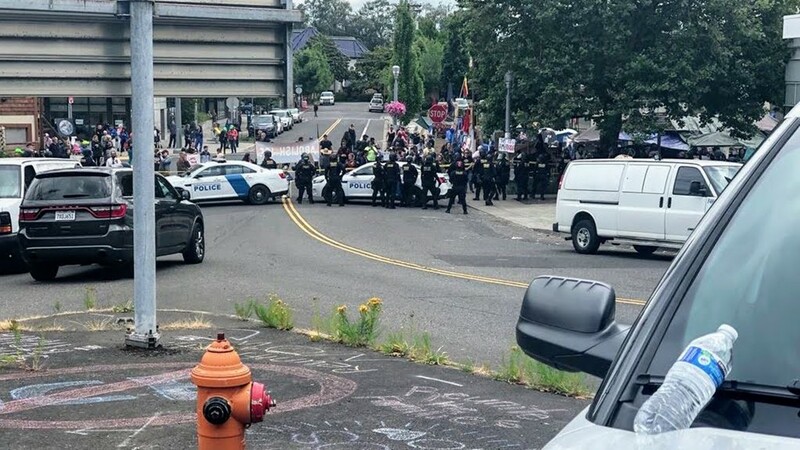 "As of approximately 8:10 a.m., the Portland Police Bureau is no longer providing traffic control and other agencies have taken over diverting traffic," Burley said. 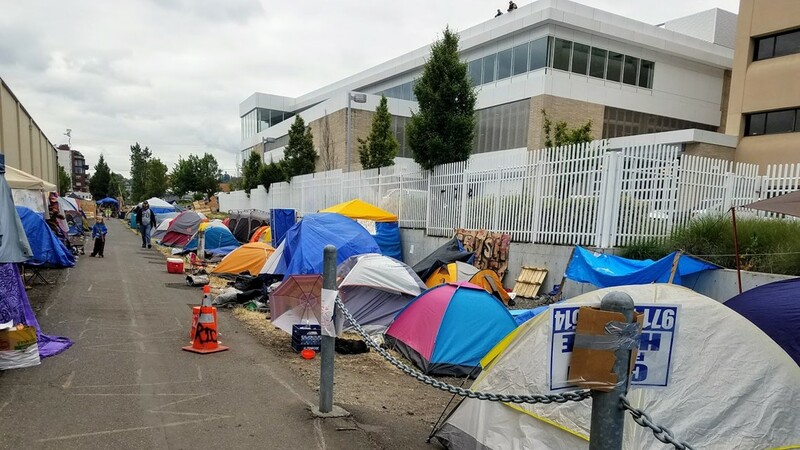 In a statement Thursday evening, Wheeler also said Portland police officers were at the ICE facility strictly for traffic enforcement. 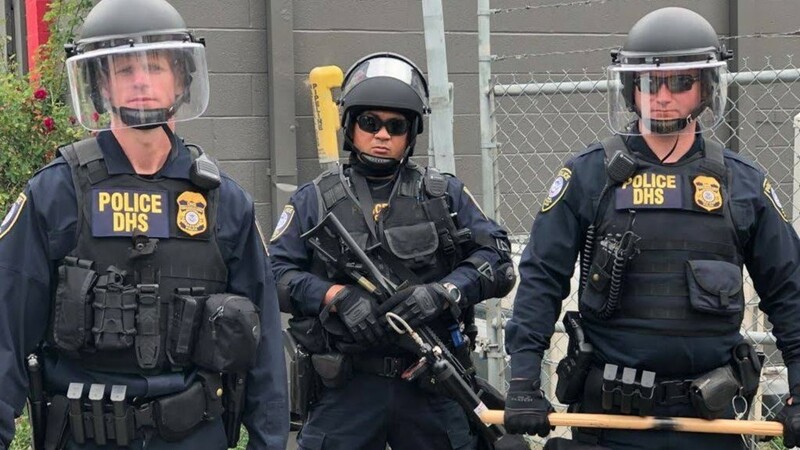 “This morning, Federal Protective Service officers initiated an action to remove demonstrators from their property. 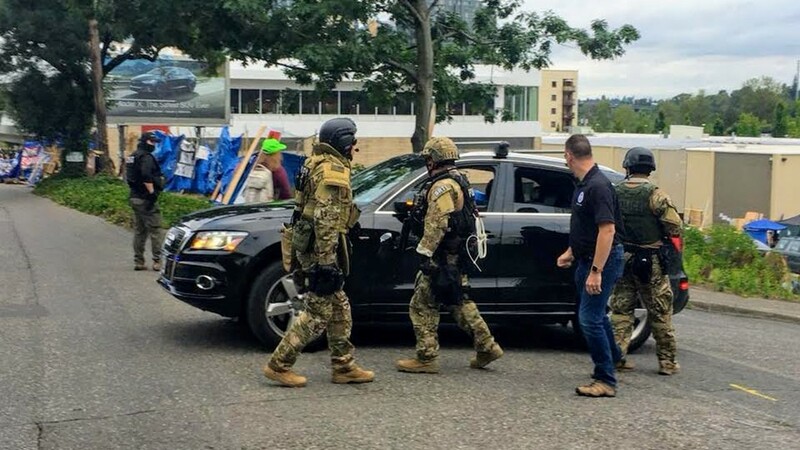 Consistent with my direction, no Portland Police officers provided aid to federal police during this action," he said. 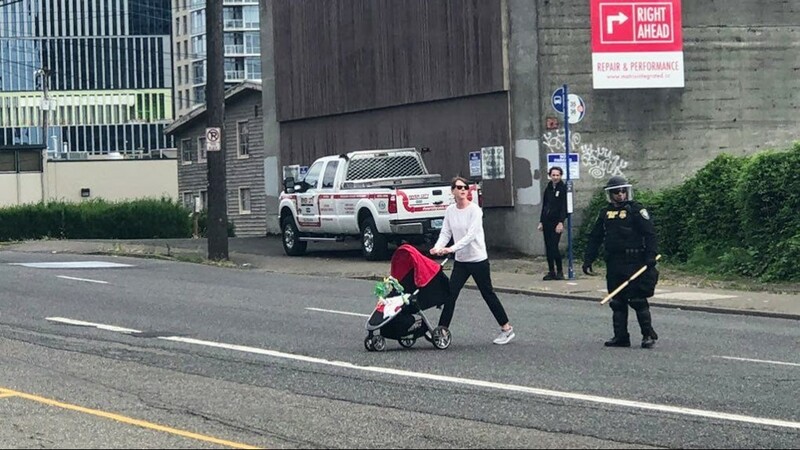 "Once on the site, Federal police blocked the roadway. 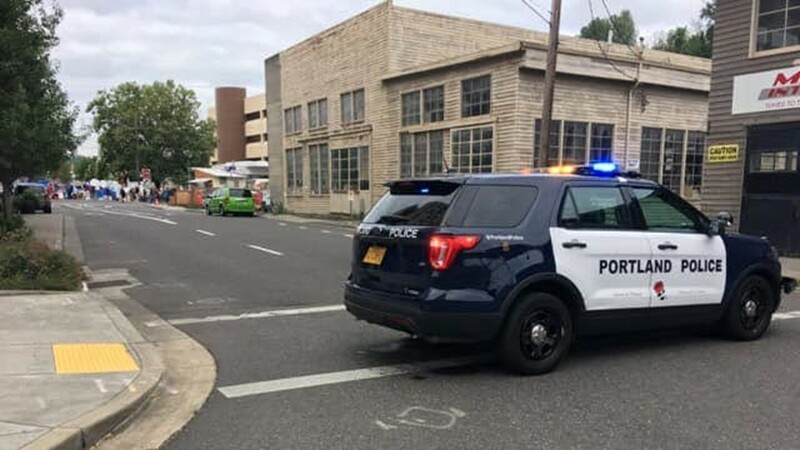 Because motorists were suddenly unable to access the roadway, Portland Police officers arrived to assist motorists in identifying alternative routes around road closures." 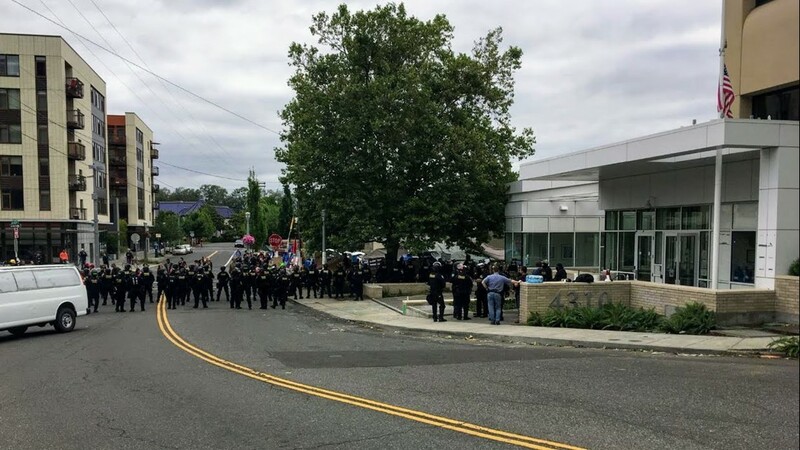 Sperling said the two police agencies continue a cooperative relationship and that Portland police were made aware of the action Thursday morning. 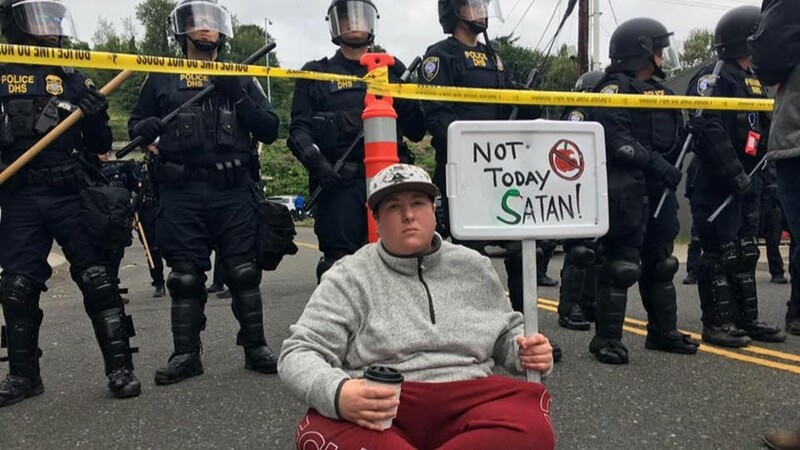 Activist Jacob Bureros was at the camp when police arrived. 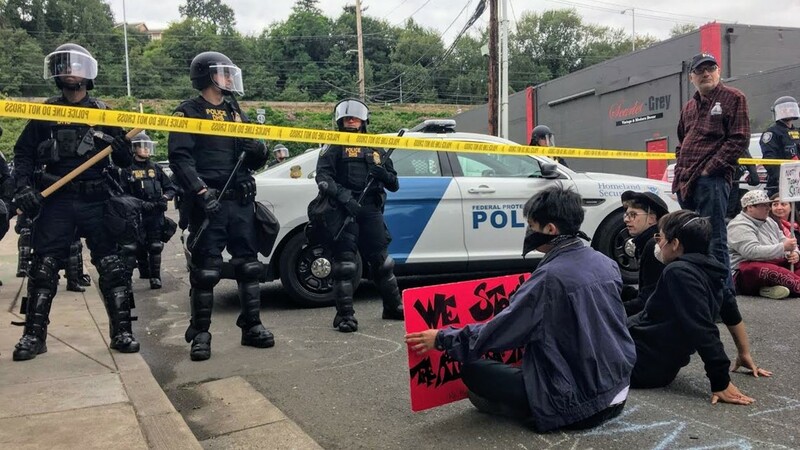 He, and Occupy ICE PDX, said Portland police officers were there assisting federal police. 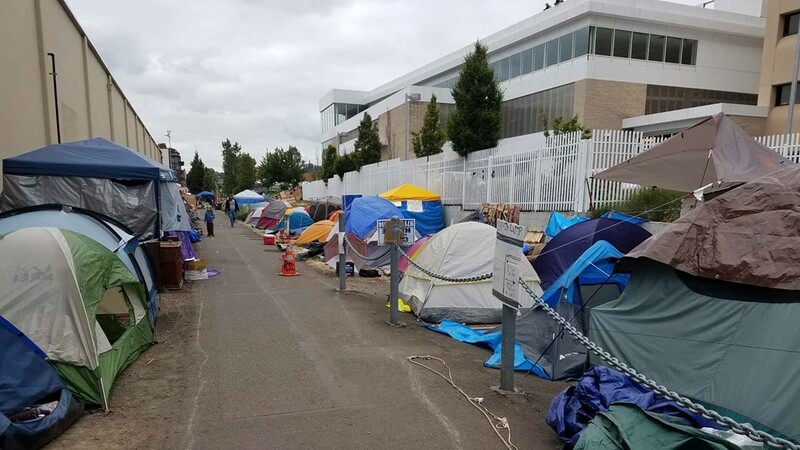 "Portland Police Bureau was involved, supporting DHS in blocking off roads and diverting traffic that allowed DHS officers to move in on the encampment," Occupy ICE PDX said. 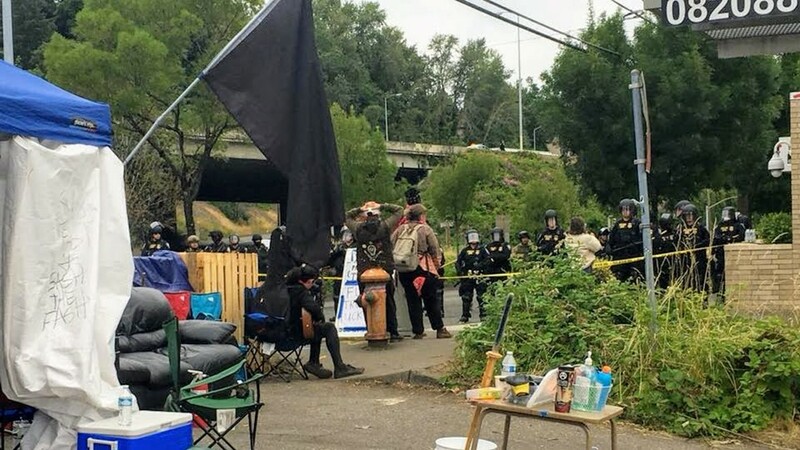 A protest camp coordinator, Lillith Sinclair, told KGW that Homeland Security officers "have been playing mind games" for several days. Bureros described it as "frat boys" behavior. 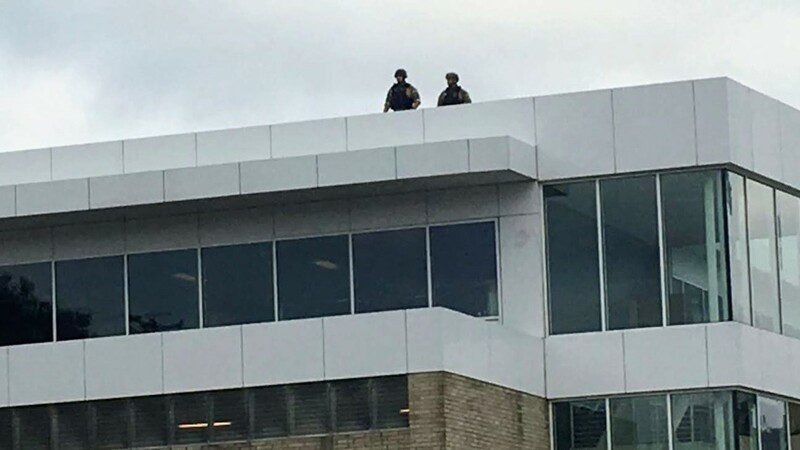 Sinclair and Bureros both said cardboard cutouts of officers were placed in the ICE building windows to make it appear their presence was larger. 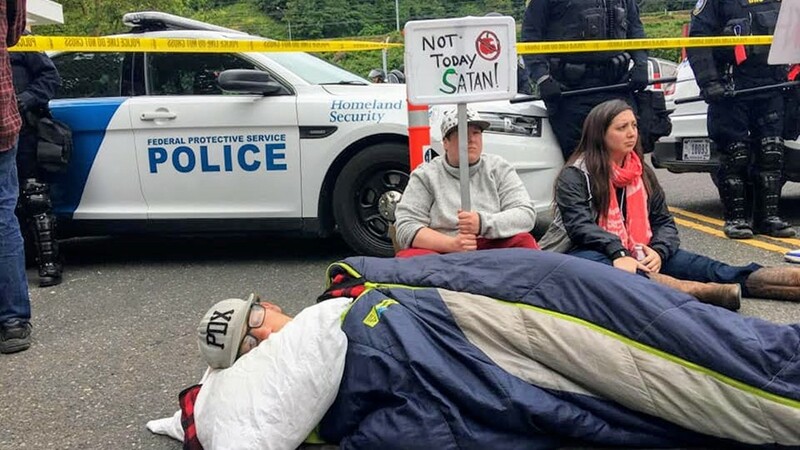 Homeland Security played officers played loud music at night to keep protesters awake. 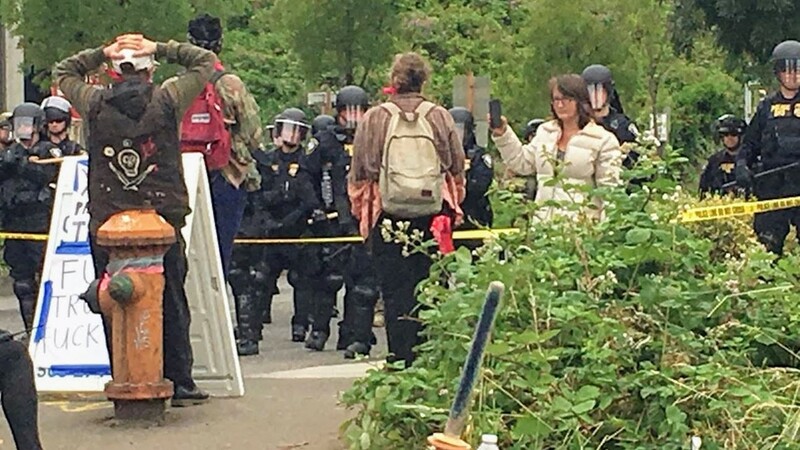 One officer walked around with an eagle mask on his head. They specifically blared Metallica's "Enter Sandman," a song about nightmares and lack of sleep. 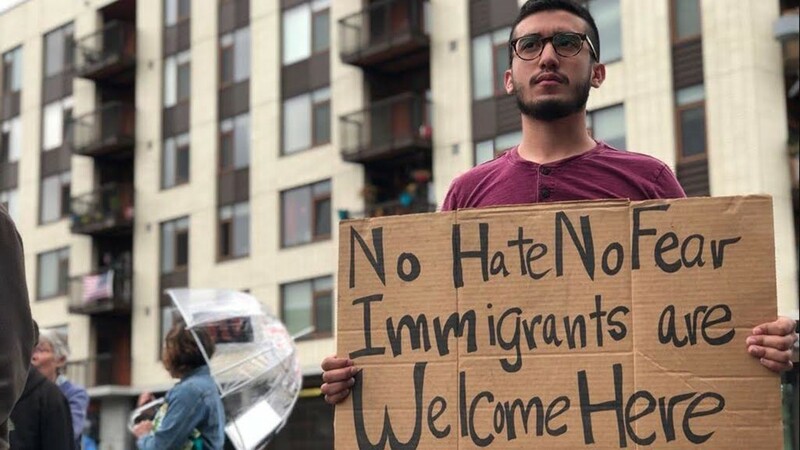 Bureros and activist Danialle James said two plain-clothes DHS officers came into the camp early Thursday morning as federal police began to clear the front entrance of the ICE building. The activists allege that DHS officers stole cellphones from a charging station, including one owned by James. 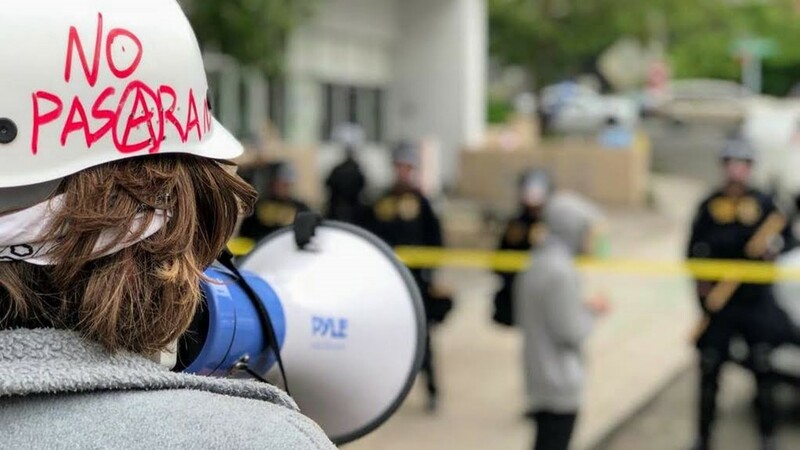 Before the Thursday morning sweep, notices that outlined which trespassing laws protesters were violating were handed out and posted for three consecutive days. The flyers did not give notice of Thursday's evacuation. 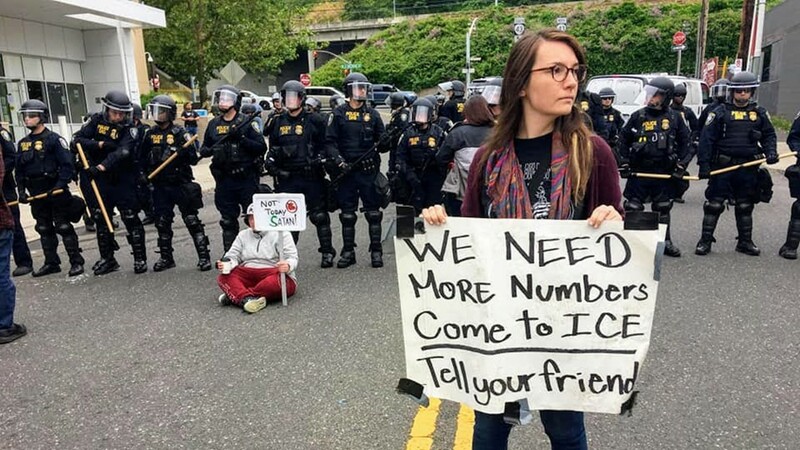 Sinclair said that since Portland is a sanctuary city, ICE is the agency who is violating the law. 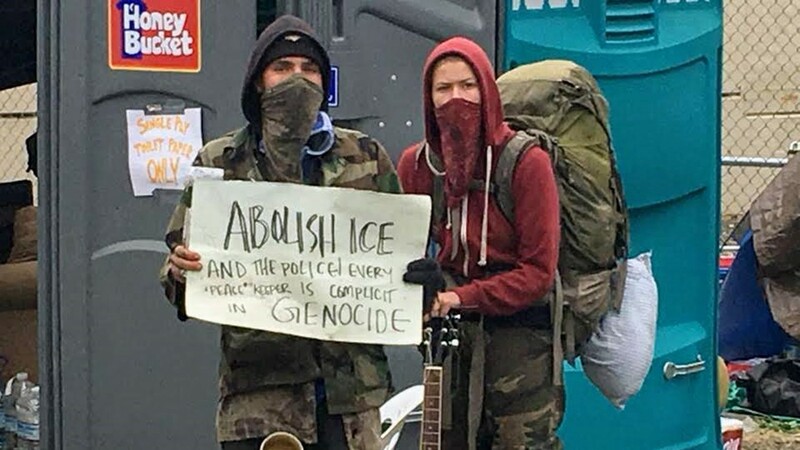 Her group, Occupy ICE PDX, wants ICE removed from Oregon and abolished in its entirety as a federal agency. 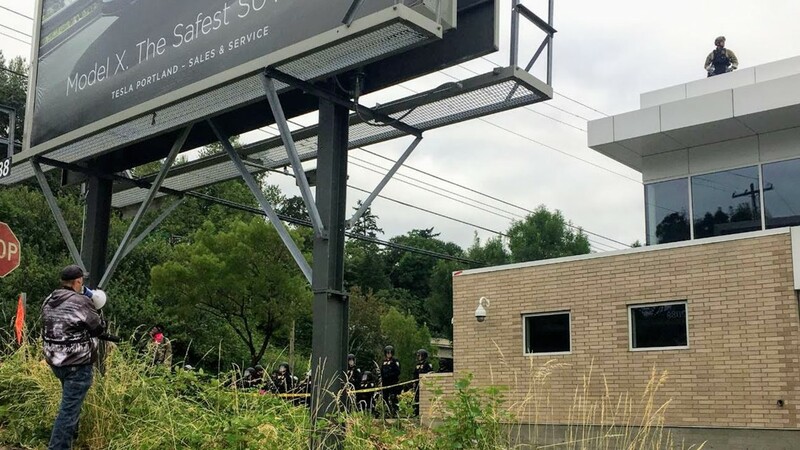 "It's become a crime to help a human being," James told KGW. 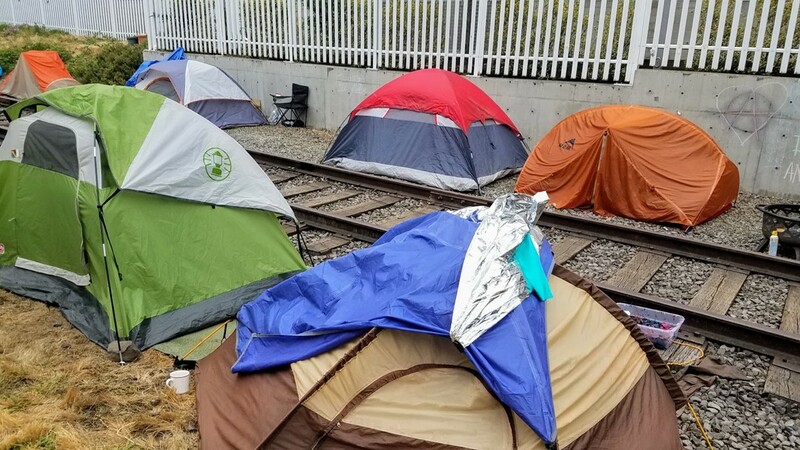 Bureros said ICE has "created a false narrative" about the encampment keeping them from performing their duties. Much of the administrative work is done in a separate building. 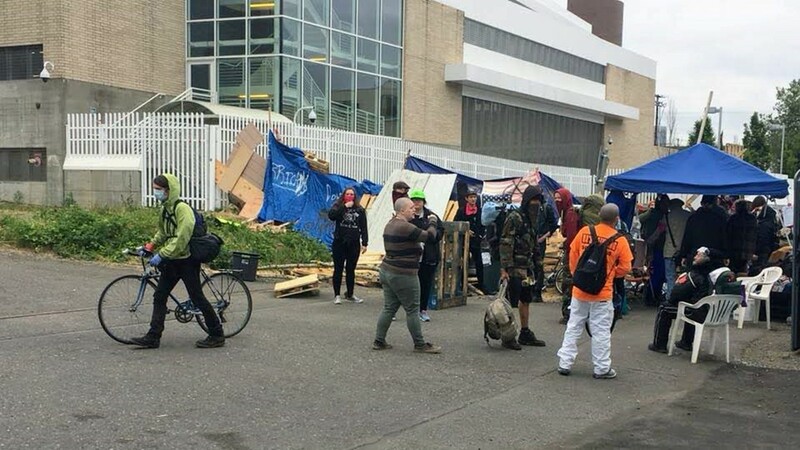 "They just want their jail back," he said. Spokesman Sperling of the Federal Protective Service declined to comment on the overall message of the protesters. "Everyone is entitled to their opinion," he said.